Harmony is not a question of size, but of proportions. 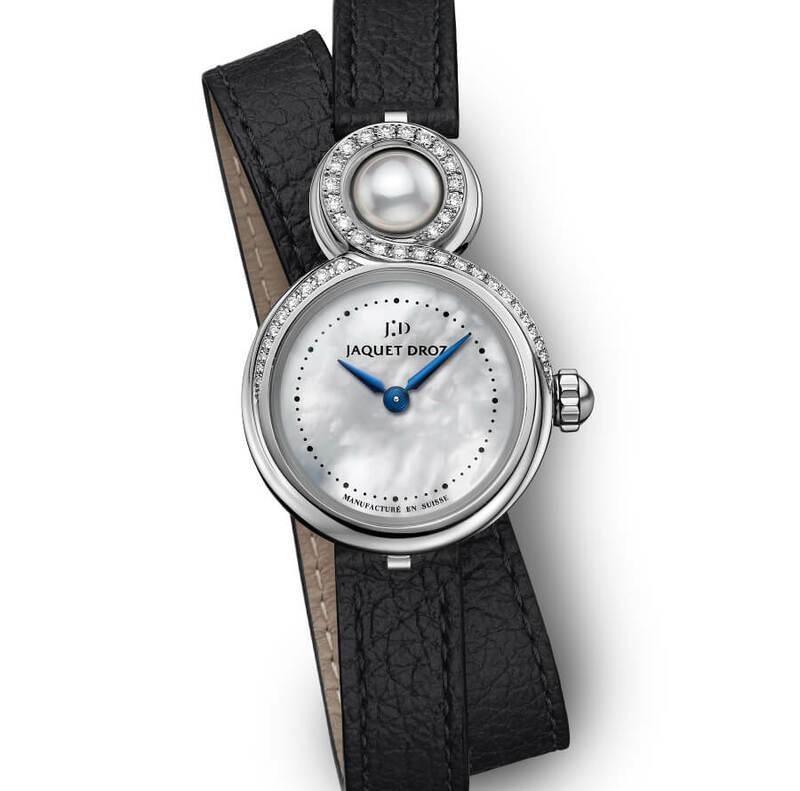 For its new creation measuring only 25 mm in diameter, Jaquet Droz revisited the emblematic design of its original model, the Lady 8, transforming it into a more intimate version: the Lady 8 Petite. Conceived as an ode to femininity and elegance, the Lady 8 Petite preserves the attributes of its predecessor: an original creation that features the brand’s emblematic “8” design blended with the traditional gem-setting and natural dial expertise of Jaquet Droz. The delicacy of its perfectly rounded case is accentuated by a domed sapphire crystal. At noon, a matching stone –different in each model – rolls under the finger, giving the illusion of touching precious time. The Lady 8 Petite’s dial is ever so slightly redesigned to guarantee perfect readability. Two hands sweep over its motion work, driven by a self-winding mechanical movement with a 38-hour power reserve, decorated with aguilloché oscillating weight with a fanned design. 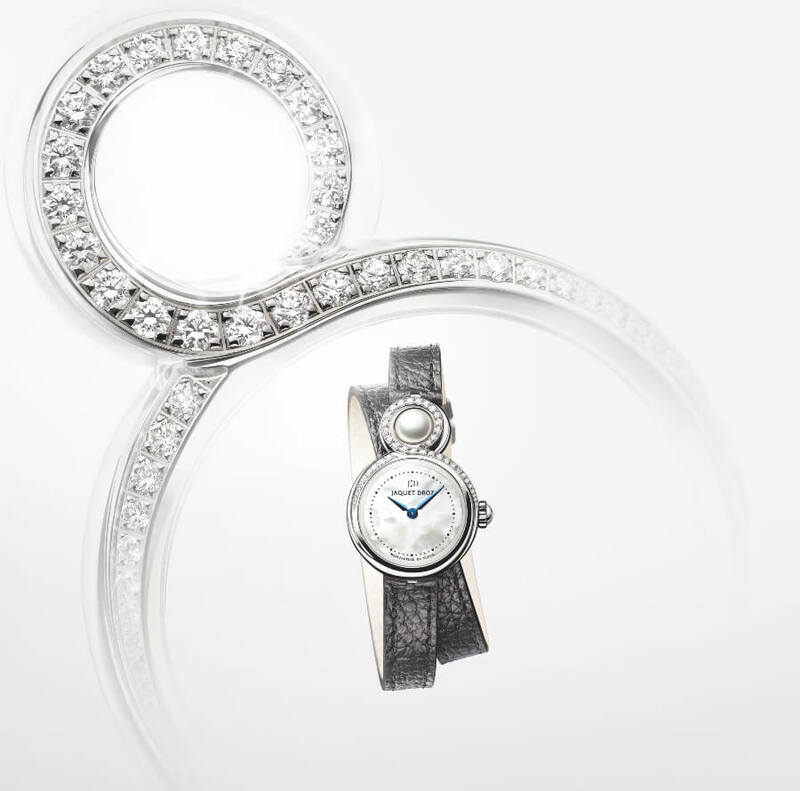 Developed in five variations, the new Lady 8 Petite embraces the trends of its time, as well. 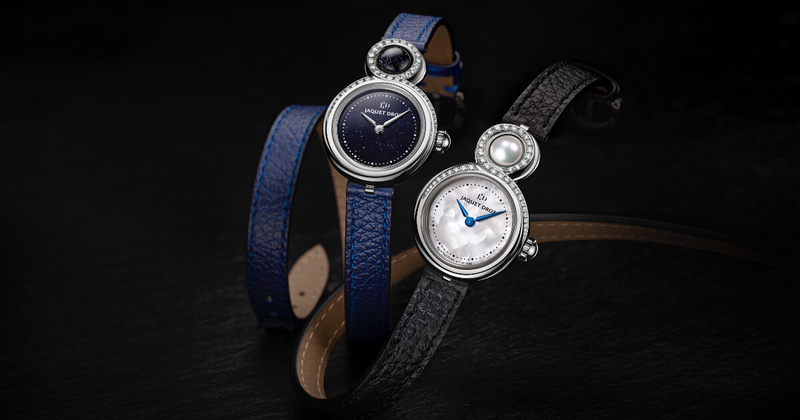 Borrowing from contemporary fashion, two versions features a double-wrap strap, in a choice of black or blue grained calfskin.The black strap is paired with a mother-of-pearl dial and gem-set steel case, while the blue double strap perfectly complements an aventurine dial whose natural silver-flecked inclusions resemble a starry sky. 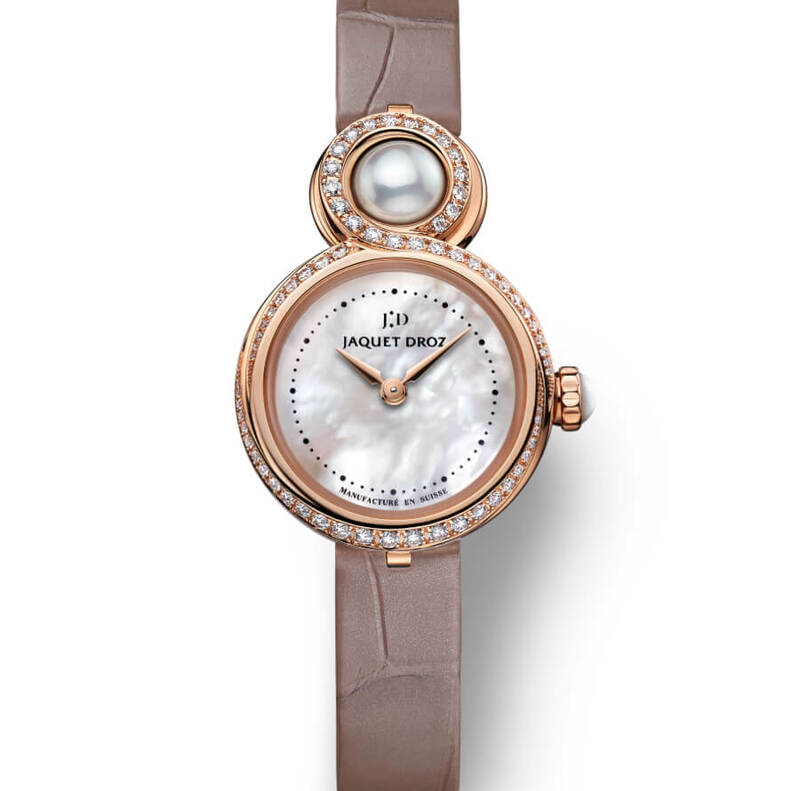 A symbol of femininity, it is also a discreet reminder of the astronomy from which watchmaking sprang forth. The three versions featuring an 18-karat red gold case display an altogether different personality, offering the possibility of a single-wrap strap in taupe alligator leather or, for a more jewelry look, a new bracelet developed specially for the Lady 8 Petite. 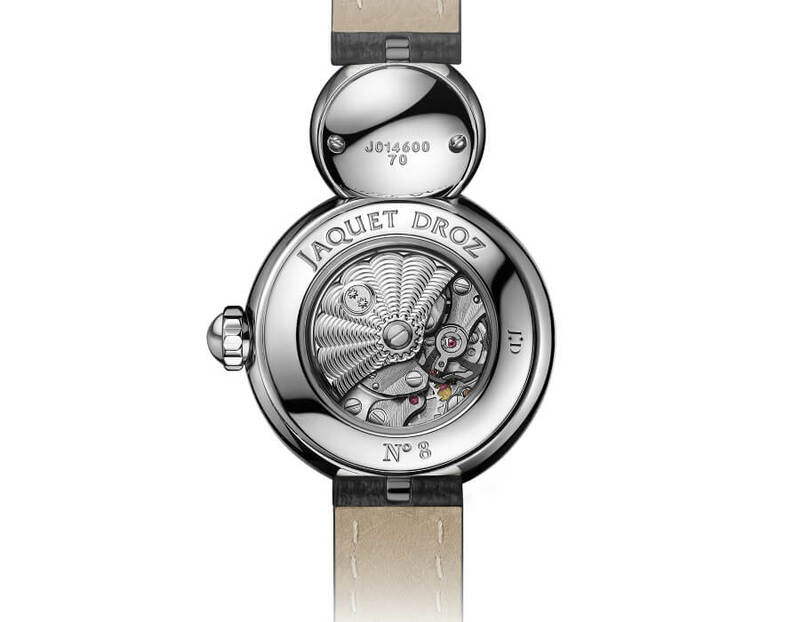 It was conceived by Jaquet Droz to favor flexibility and comfort in an original mineral composition. In a first version, the links are individually set with diamonds, within which authentic Akoya pearls shimmer like precious hearts. These pearls, found only in Asia in far-flung corners of Japan and China, are renowned for their bright luster yet satiny soft appearance. 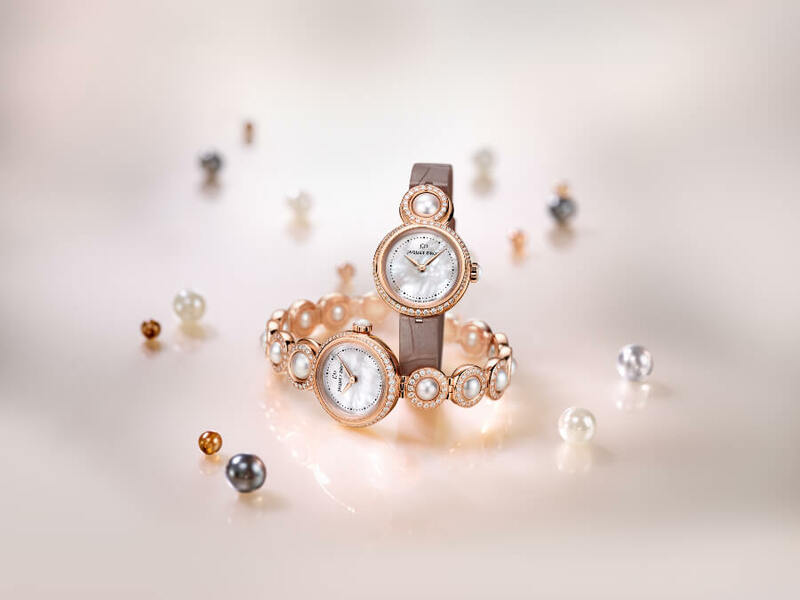 With a unique natural white color, they harmoniously complement the mother-of-pearl dial and cabochon crown of this sleek and graceful Lady 8 Petite. The second version of the red gold Lady 8 Petite bracelet is adorned with jade, paying tribute to the brand’s depth of experience in the mos tprecious and exclusive mineral compositions. Moreover, this version is issued in a strictly limited Numerus Clausus edition of eight pieces. Its supple bracelet is entirely set with diamonds, within which gleam bright green jade beads. The choice of this stone is deliberate. A protective stone, embodying the wisdom gained through serenity, it intensifies feelings of love and brings harmony. These natural tendencies, along with the “8” design evoking infinity and eternity, bestow exceptional symbolism on this High Jewelry creation. 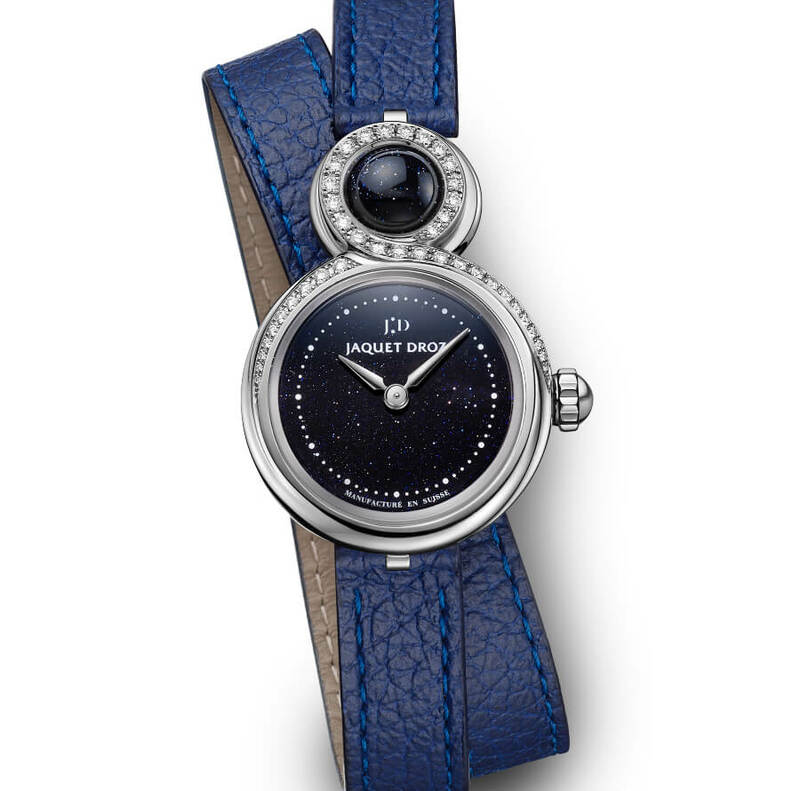 The prices for the Jaquet Droz Lady 8 Petite starts from Euro 14,700 up to Euro 94,300 depending on the model you chose.